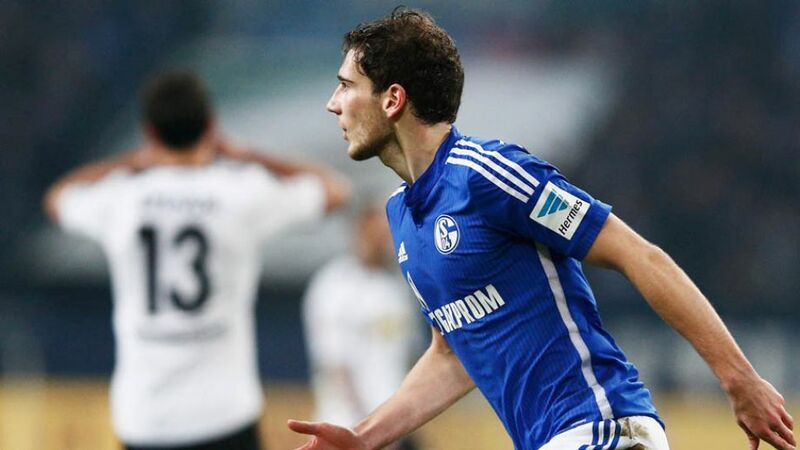 Thanks to the Bundesliga's official YouTube channel you can now enjoy a virtual reality experience of Leon Goretzka's classy goal for FC Schalke 04 against Borussia Mönchengladbach on Matchday 27. Download the all-new official Bundesliga app! With the aid of cameras placed at various points around the VELTINS Arena for the Royal Blues' 2-1 victory, our video production team were able to capture the 21-year-old's first goal of the campaign from an entirely unique angle that you will not have seen on television. Furthermore, using the direction icons in the top-left corner of the video below, you can alter your view of the stadium, before and during the action, to get an even fuller taste of the passionate atmosphere that is unique to Germany's top flight. Click the link below to enjoy Goretzka's goal in 360-degree vision, and why not enjoy Der Klassiker between FC Bayern München and Borussia Dortmund as well as Javier 'Chicharito' Hernandez's goal against VfL Wolfsburg while you are at it. Finally, keep your eyes peeled for more virtual reality matchday videos coming soon on our YouTube channel!